It might be expected that words like “atheism” or “atheist” carry with them implications beyond the strictest definitions. After all, most of humanity considers itself believers —religious in some way. 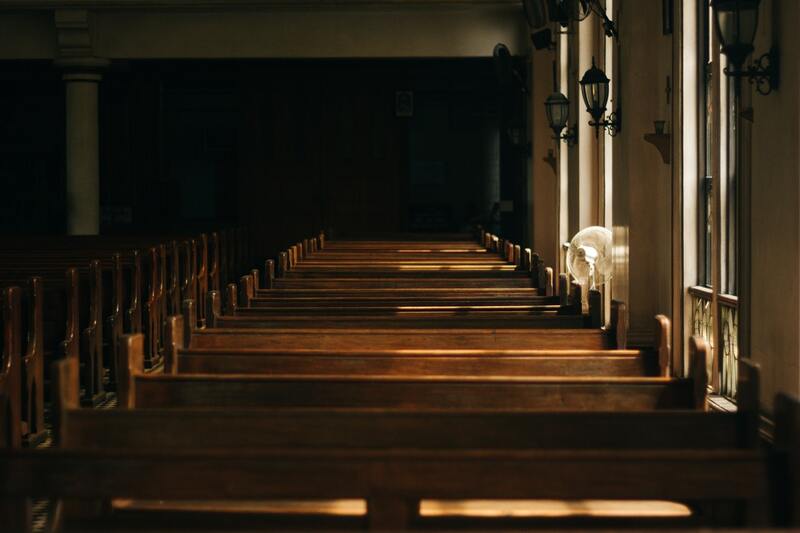 Even in the United States, where about a quarter of the country claim to not be affiliated with religion or nonreligious, only a small percentage, roughly 4% of the population, actually claim to be atheist or agnostic. Nonbelievers, by almost any measure, are technically atheists if they don’t subscribe to at least the belief in a god. Yet something holds so many back from referring to themselves as atheists. Many view belief in God (or gods) not as a passive endeavor, but rather as an active one. It’s an act of faith—a leap of faith. But faith doesn’t just reside in most of us like some philosophical, esoteric idea of an ethereal higher power for the individual. Through religion, it permeates our lives, art and literature, culture, concepts of justice, social order, and our politics, irrespective of our level of belief. And so it stands to reason that atheism can be seen in a similar light by believers, an active denial of faith, which denies the fabric of history, prevailing culture, and the conventional wisdom of the value of religions. To be atheist, some might say, requires a certain arrogance in order make a definitive defiance of faith—and therefore, the faithful majority. Atheism is often seen as being rooted in rebellion against everything that has shaped our world or an overvaluing of reason and science. Words, like language, can go through an evolution, based on things like usefulness to society, reinterpretation, the perspective of whomever has control of defining the word, or even just the slow, gradual adaptation of meaning based on usage and the needs of society. The more useful the word, the more likely it is to survive generations. The first appearance of atheism in English appears in the late 1500s. The word atheism seems easy to break down anatomically: a- ‘not (with)’ + theism ‘god(s)’. It seems simple enough. There does not seem to be the anti-religious or even anti-God sentiment. The concentration seems to be on the absence of belief in god or gods, but there’s no inclination to describe that as a good or bad thing; whereas the Merriam-Webster definition gives greater weight to the idea of “strong disbelief,” devoting half of the primary definition and the entire secondary definition to this more negative hue. The impartiality of early definitions and a breakdown of the word is lost. We know that the word itself does not mean atheism is particularly against anything because the prefix a- does not mean against; the prefix anti- does. Only recently has the term anti-theism really grown in popularity—though it still doesn’t appear in many dictionaries. But a crinkle in this simple formula is that the etymology of atheism probably predates the word theism, the anglicized form of the French word athéisme, by 100 years. The root of the French word athéisme, and therefore atheism, originates with the ancient Greek word átheos, which Google translates to “without deities.” The definition of atheism therefore becomes complicated by the fact that it’s not (or wasn’t) dependent on the word theism, the definition of which seems to come as an afterthought, a perfunctory addition to the lexicon for the default majority population. If the origins of atheism do go back to ancient Greece, as experts believe, it may be important to understand how the word átheos was used. Ancient Greece has many familiar names, among them such luminaries as Epicurus and Aristotle, who seem to have considered gods and faith more as a question of philosophy than as a question of the corporeal to be answered by man. The ancient Greeks had no equivalent for “anti-gods,” so it’s quite possible that átheos had a broad definition that could be used in different ways by different people, based on their perspective. According to scholars, there are many instances of átheos used as a pejorative, mostly by those that believed in gods. There is also documentation of the term not being used in any ostensibly negative way, too. This sort of range of usage certainly would have some parallels with the evolution of the word atheism over the last few centuries. The simple, abstract definition of atheism almost invites interpretation and wide-ranging usage. It literally covers such a broad spectrum of nonbelievers, from the pure uncertainty of the agnostic who sits on the metaphorical fence to the absolute certainty of the strong atheist, and every position in between. There are many times in the history of the word atheism that the term was used in a negative way, but there are many instances where the term was used with apathy or even pride, a sort of self-adorned title of non-commitment to belief. During the Age of Enlightenment, which constituted the first two hundred years or so after the term atheism became part of the English vocabulary, Christianity reigned, so ubiquitous as to marginalize, force to convert, jail, or even murder those with alternative beliefs. But the rise of logic and science, ideas like Locke’s separation of “church and state” and democratic representation and individual rights, the long-running reformation of religion, as well as revolution against the entrenched divinity of hereditary monarchies and the concept of royal succession, which is frequently linked to the French Revolution and other revolts in Europe, all threatened the era’s systems, institutions, and social order, to some degree. This created conflict between old ways of thinking and the promise of progress. The anxiety about these changes and parsing of terms, like deist and atheist, in the evolving world no doubt put pressure on the ostensibly simple definition of atheism. In the latter part of the 18th and in the 19th century, Christianity’s popularity coincided with atheist and atheism used primarily and often as an insult. With Christians most in charge of creating and revising dictionaries, it’s no wonder that the partiality of phrasing like “strong disbelief” might work its way into the former definitions of atheism. Today, many famous modern atheists, like Bill Maher, Richard Dawkins, and Sam Harris, have made careers about challenging or even ridiculing some of the absurdities that they find in faith and religion in the modern world. Many religious people find these celebrity atheists offensive or untactful, yet bristle at the idea that an atheist might find the God-fearing Jerry Falwell, Ted Cruz, or James Bakker just as offensive for their certainty in the existence of a Christian God and their vilification of atheists. Take a look at Bible Study Tools’ long, convoluted explication of atheism (and several “arguments against”), which diverges entirely from literal definitions. Today, many nonbelievers and atheist and agnostic organizations are making an effort to “find their roots,” so to speak, by reclaiming the definition of atheism and atheist and attempting to reinstall the original meaning of the words to better accurately reflect the nature of the word and the diversity of people who classify as agnostic and atheist–and to create some separate from those nonbelievers who should be considered anti-theist. Atheism is one thing: A lack of belief in gods. The only question now is whether those who don’t fit the binary choice between belief and disbelief can be influential enough without being offensive in order to show how wide the spectrum between them actual is. The diversity of these nonbelievers has yet to show much in the way of organization or political capital. If they do figure out how to be seen and heard commiserate with their demographics, we may just see the original definition of atheism come back. Nonbelievers are the fastest growing (ir)religious group on the planet, after all.